Angadipuram is a Town, an important pilgrimage center for Hindus located in Malappuram District of Kerala, southern India. It is located on the Chennai-Calicut road 16.5 km from Malappuram, the district Headquarters. Angadipuram was the capital of the powerful medieval kingdom of Valluvanad. Angadipuram is famous for its two temples, the Thirumanthamkunnu Temple and the Tali Temple. The principle deities of the Thirumanthamkunnu Temple are Goddess Bhagavati and Lord Siva. The Puttanangadi mosque has Arabic inscriptions engraved on one of its planks. Angadippuram is actually a temple town, as it is rich in the case of number of temples. Nearly 12 temples are there in the village.The Thirumandhankunnu Bhagawathy Temple was built by the erstwhile kings/rulers of Walluvanad. The goddess Bhagavathi at the temple is the family god (kuladaivam) of the Valluvokonathiris. This temple has gained prominence lately. 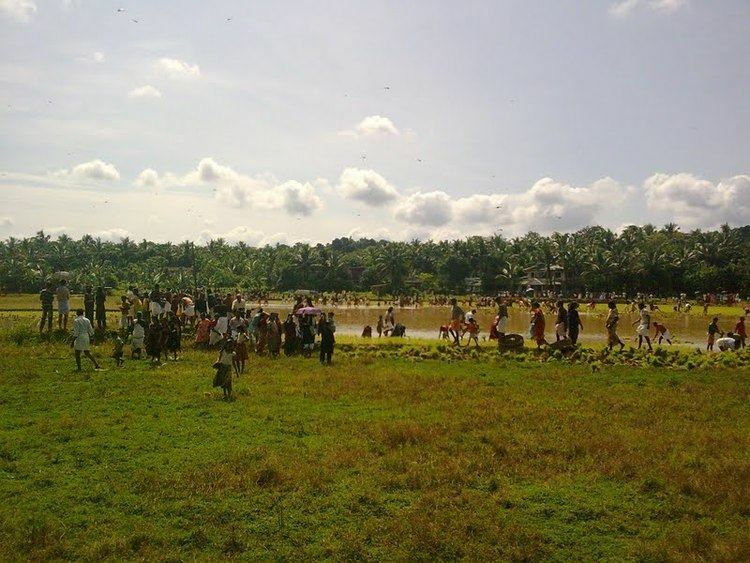 The village is one of the biggest in the Malappuram district.It is filled with traditions and a flourishing tourism business. Apart from Thirumandhamkunnu Bhagavathy Temple, there is yet another important pilgrim centre in the village is the Tali temple which is also near the highway.The holy shrine in Puthanangadi is another place of solace to the masses which is 2 kilometers away from the town in Valanchery road. Angadippuram is now known as the temple town of Malabar.There are so many Hindu temples situated here including Sree Thirumanthamkunnu temple and Thali temple. The town is very much in to the culture compared to an any other region in the Malappuram district. The pooram festival held in the Thirumandhamkunnu Bhagavathy Temple is a grand festival of the region. This festival is called the festival of Valluvanad/Walluvanad. This will usually comes in the months of April or May. The festival lasts for 11 days. There is a music festival called Njeralath Sangeetholsavam held at the Thirumandhamkunnu Bhagavathy Temple in the month of February every year in the memory of Sopanam singer Njeralath Rama Pothuval. Angadipuram is also one of the gramams (villages) in the Malabar region of Kerala where the Tamil speaking Kerala Iyers have settled.